On a day when heartfelt toasts are sure to be among your greatest and most memorable blessings, these elegant favors give your guests another way to raise their glasses and say cheers. 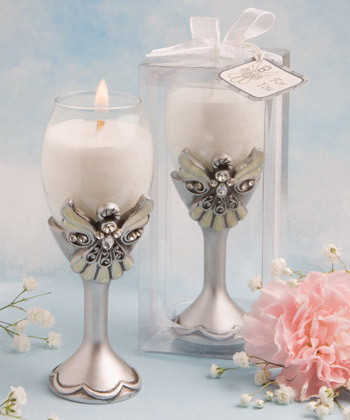 And, with these angelic wonders from Fashioncraft, the cherished blessings will continue long after your big day is through. Each favor measures 4" x 1.25"